Calrad s new 40-DCT-2, 2 way digital converter provides a simple method of converting SPDIF \ Toslink bi-directionally. Next week we will be launching early releases of Ver 3.0 for paid xLobby users. The download will appear under your My xLobby account. A few very minor details to mention on the release. 1. Full 2 Way Russound (Integrated as a seperate service). 2. Full 2 way Insteon/UPB, PCS lighting (Integrated as a seperate service). 4. Multiple Movie Databases, 1. Movies, 2. Movies Family, 3. Movies Music Videos , 4. Movies Adult with password protection, 5. Movies Video. 5. 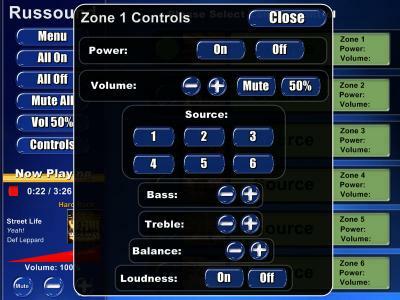 Master Volume control now works for both XP and Vista. 6. Disable Mouse option for Touchscreen users, Kiosk Mode option that disables windows key button, CTL+ALT+DEL, etc prevents users access to the OS. 8. 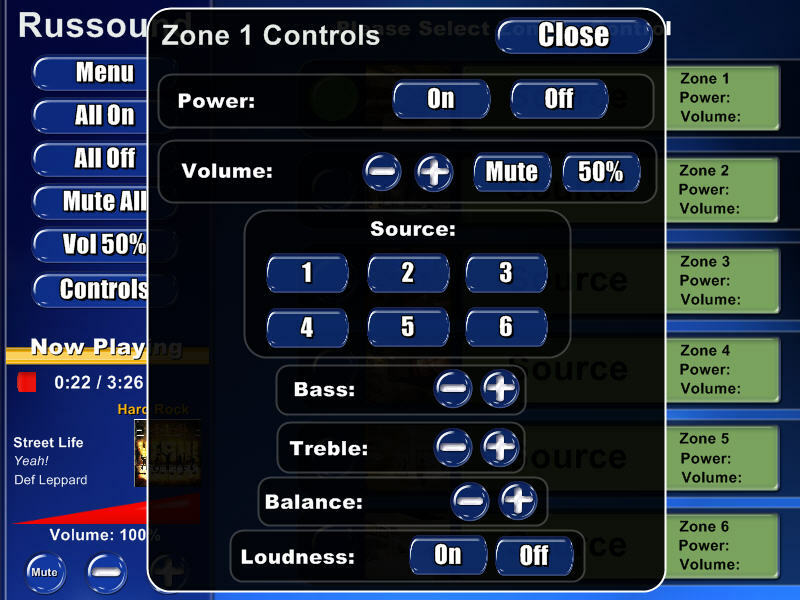 Controls overlay menu with improved Multi-Zone audio with individual volume, mute controls, Track playback now shows Music Genre, quick access to playlist functions. 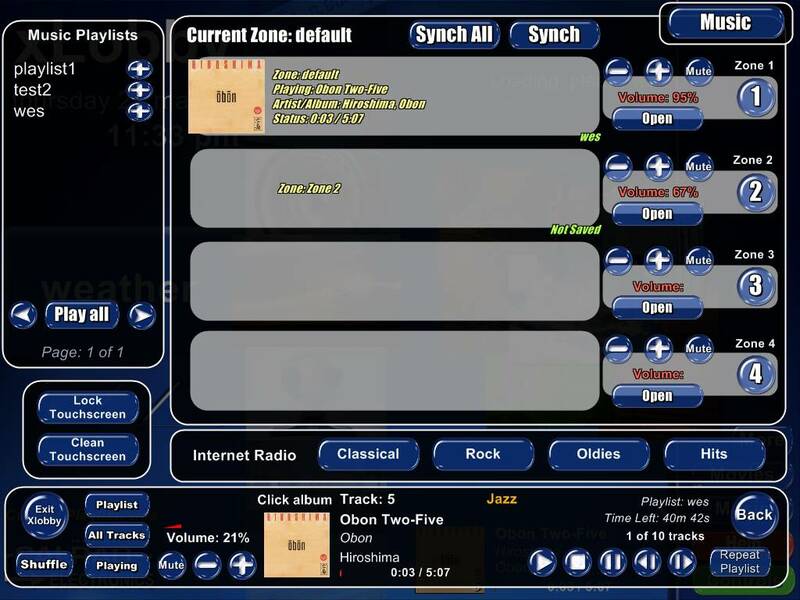 New Varible that shows the current playlist selected, automatically hides value when a playlist is not currently playing. 9. New event to control any xLobby system on the network by sending any command by Event Group, Event Name. To send commands remotely the xLobby machine to be controlled must have the web server started and running. Start xnet under F2 on all machines to be controlled. On the control xLobby machine create a new event by using the webserver command under commands / xLobby, then enter a server ip address, password, event group name, event name. 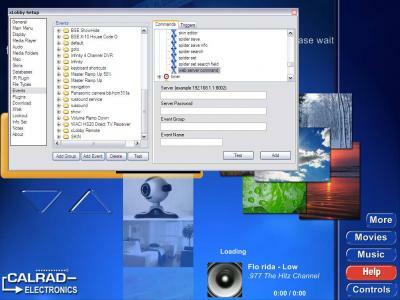 Next create a button and add the event, you can now control 1 or more xLobby machines on your network any way you want. More details on the release will be available next week. Calrad is pleased to announce the 40-1071 HDMI over 2 Cat5e or Cat6 cables, HDMI Ver 1.2, HDCP compliant Balun system. These devices can provide much longer cable distances then conventional HDMI wiring using new or pre-existing inexpensive solid conductor UTP Cat5e, Cat6 cables this model is self powered from the source and display sides of the HDMI connections. The built-in EQ circuit automatically adjusts for short to long distances, a external power jack and power supply for the Receiver is included if needed. This unit provides a more inexpensive , self powered solution then Calrads 40-1070 single HDMI Cat5e, Cat6 cable model, shown below. Calrad will be training and demonstrating xLobby Version 2 as well as our new platform xLobby Version 3 on April 10th. 1. xLobbys Basic interface and feature demonstrations: 10:00am – 12:0pm, with questions and answer audience participation. 2. xLobby Advanced interface and feature demonstrations: 1:00pm – 3:00pm, with question and answer audience participation. Looking forward to showing what xLobby can do for you and your customers. 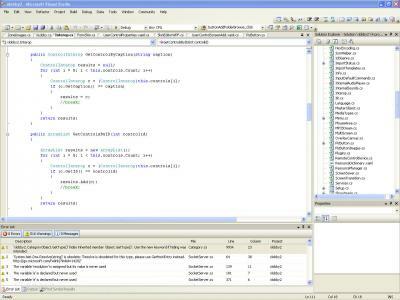 As we get close to xLobby Ver 3.0 the software is now in excess of over 100,000 lines of code. 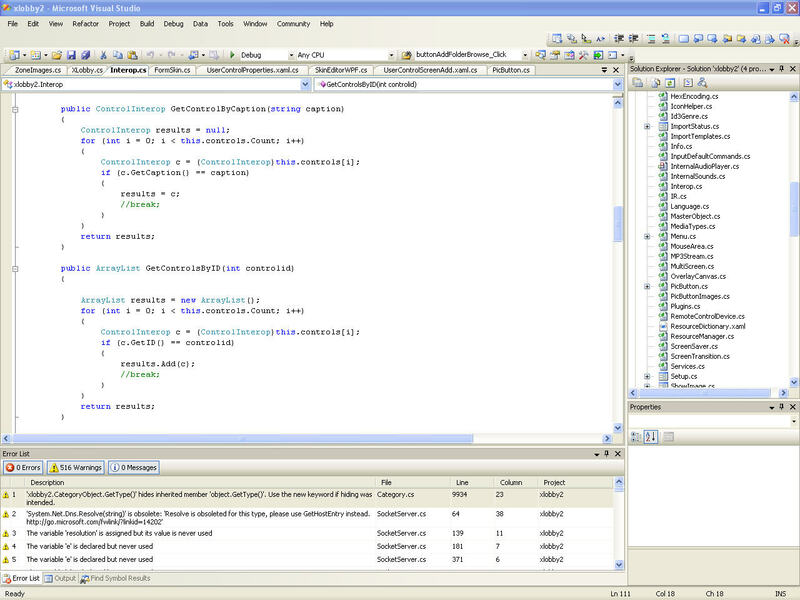 Below is a screenshot Microsoft Visual Studio and of Stevens constant work in progress and coninued development of the xLobby platform from Ver 2.0 to Ver 3.0. Each day we continue to improve the core of xLobby and add new events and features to make it better and more powerful, the new skin editor is almost ready……….! I should have some new screenshots of xLobby Ver 3.0 to post this week. 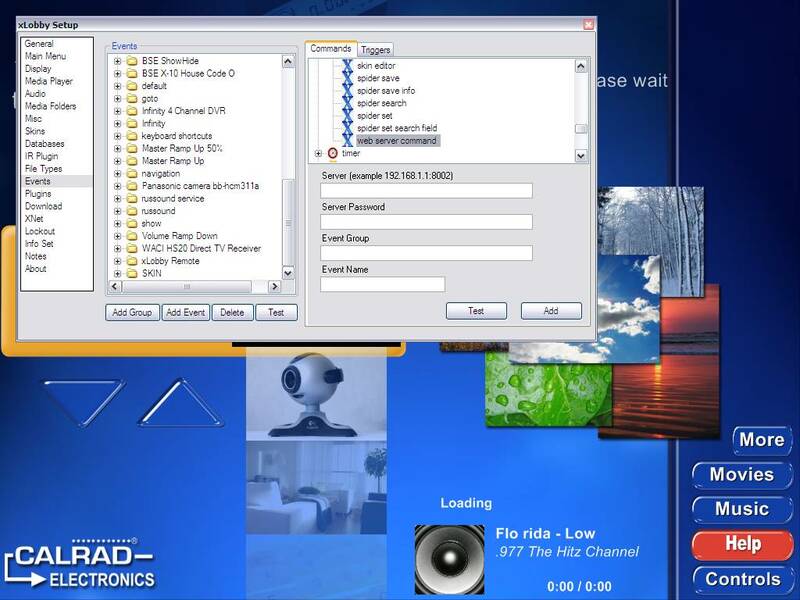 Alex 3yrs old loves xLobby, all of her Disney movies and favorite music are easily accessable and now theres no more damaged discs or complicated DVD menus to navigate or video tapes to get stuck in a VCR. Pick up the remote or just walk over to the 10.4″ touch screen and pick a movie, 5 seconds later and the movie is on the display. Now wheres the popcorn ! The first xLobby client for the Pasadena B & O store was installed and is on display. Richard Kim the owner had an open house on Thursday February 28 and several hundred people attended the event. There was food and drinks, prize drawings for LCD TVs as well as several demo rooms running B & O technology with other manufactures product lines. The show room is nicely decorated and tailered to a very professional environment for customers to listen and watch various products interact with each other. 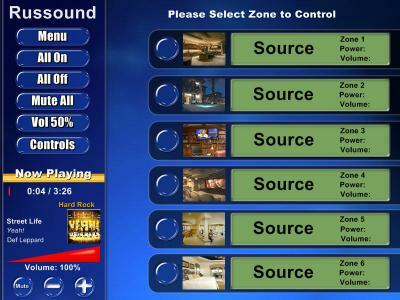 xLobby was well received as we ran demo’s of the software for 3 hrs on a 50″ pioneer elite plasma display. 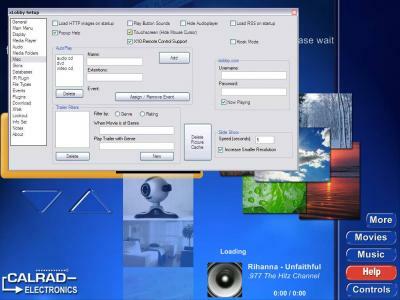 This store will become an authorized reseller and authorized installation company for xLobby products. Thanks to Richard Kim and his staff for there support of xLobby and a memorable evening. Pictures of the store and xLobby systems will be posted here at a later date. You are currently browsing the xlobby news blog archives for March, 2008.